The Tourism Society of Ghana (TOSOGHA) in partnership with the Ghana Tourism Authority and the Year of Return Steering Committee has today launched the Youth in Tourism Festival (YOTOFEST) at the Accra Tourist Information Centre. The festival will among other things, allow for greater local participation, especially the youth in the year-long commemoration of the Year of Return, Ghana 2019. The Youth in Tourism Festival will include a series of activities comprising, a public lecture and workshop, float, exhibitions, musical jamboree and a tour over a three -day period from July 18 to 20. 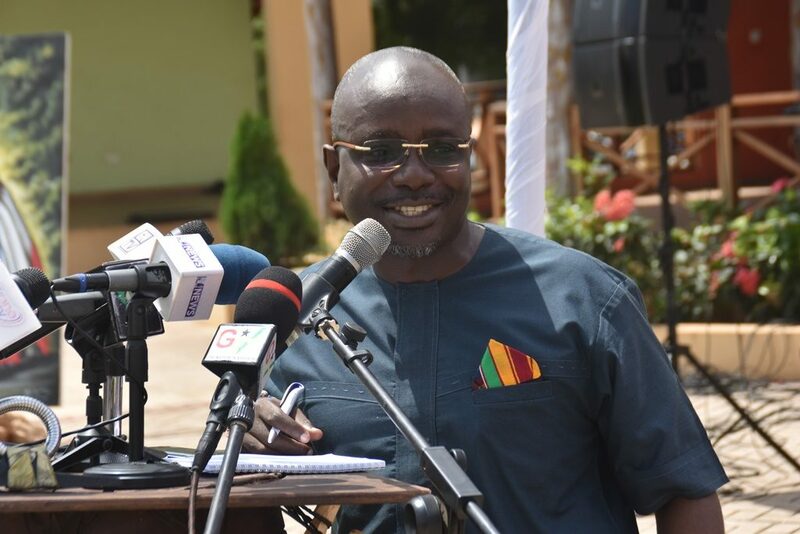 Coordinator of the Year of Return and CEO, Ghana Tourism Authority, Akwasi Agyeman at the launch, was full of praise for TOSOGHA for continuing to reorient the youth on the need to promote domestic tourism through their activities such as the establishment of tourism clubs in both second cycle and tertiary institutions all over the country. He mentioned that domestic tourism was at the heart of the country’s tourism growth and TOSOGHA remains a key partner to further complementing the efforts of the Authority and other institutions to better strengthen the domestic tourism drive. Agyeman reiterated his outfit’s continuous support for the organization and the Youth in Tourism Festival. 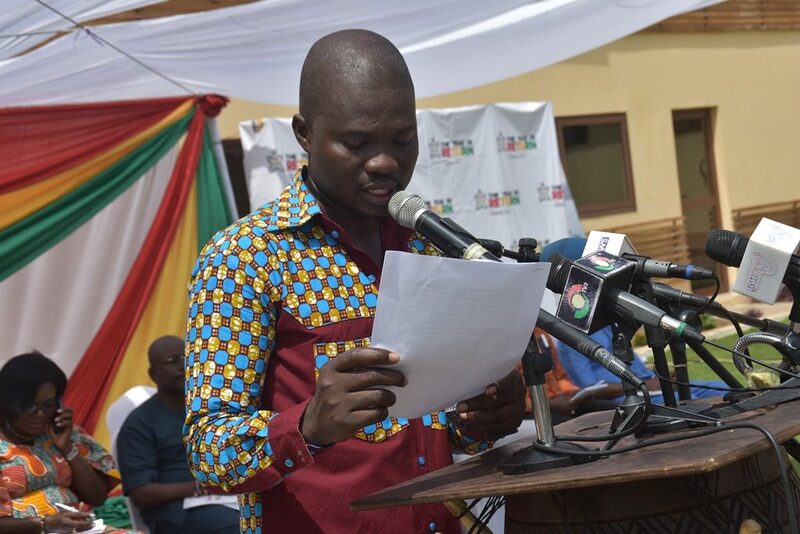 On his part, Youth Tourism Ambassador and Executive Director of TOSOGHA, Joseph Amartey envisages the Festival to be a potential social platform that effectively and efficiently market Ghanaian indigenous culture and heritage values for international patronage through broader youth engagements. “The foremost objective of YOTOFEST is to re – establish the smooth as well as swift patronage of domestic tourism from a more holistic and grassroots approach,” he said. 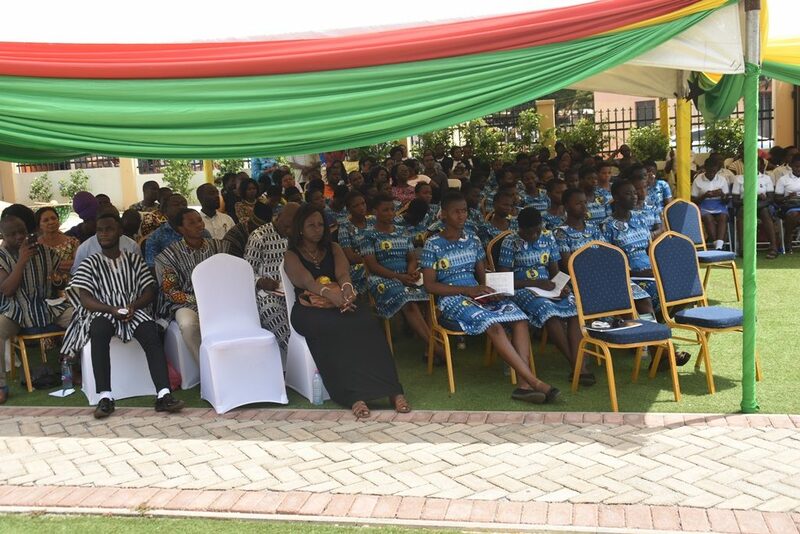 The launch of the event attracted student membership of TOSOGHA from various institutions within the Greater Accra Region with other high profile persons also in attendance. They included; Akwasi Ababio, Director for Diaspora Affairs at the Presidency and Chairman of the Year of Return Steering Committee, Kwadwo Antwi, CEO, Ghana Tourism Development Company, Bella Ahu, President, Ghana Tourism Federation and Olivia Opoku-Adomah, Director of Research, Statistics and Policy at the Ministry of Tourism, Arts and Culture who represented the Deputy Minister. 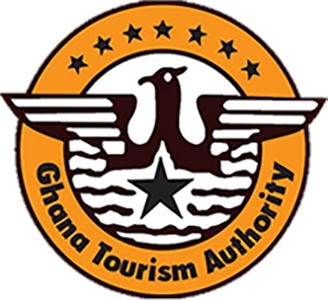 The Tourism Society of Ghana is a youth-led organization with the objective of promoting domestic tourism and imbibing tourism culture among the youth and has over 30,000 members in secondary and tertiary schools across the country. Participants at this year’s Pan-African Student Summit have been told to be cognizant of their ancestral root no matter how long it takes for them to discover their African identity.  The call was made by various speakers at the event who shared their individual stories about how they eventually became interested and identified with Pan-Africanism. They included Diallo Sumbry, President & CEO of The Adinkra Group, Akwasi Agyeman, CEO, Ghana Tourism Authority, Prof.Esi Sutherland-Addy, Chairperson, PANAFEST Foundation, Paul Kwaw, Executive Director, W. E. B Du Bois Centre for Pan African Culture among others. The two-day Pan African Student Summit which came off at the African House of the University of Ghana engaged university students of African descent from the Diaspora with Ghanaian university students to participate in critical discourse and think tanks on essential topics toward the liberation of all African people around the world: identity and social issues, economics and entrepreneurial possibilities, education, and global health and wellness. Mr. Agyemang who is also Coordinator for the Year of Return speaking to the press at the Summit said for the visiting students it was such a great delight for him that they could be in the country to experience things for themselves and further be part of such an important discourse. He added that the Year of Return Steering Committee and Secretariat will continue to support any individual, group, institutions and initiatives that will help bring more people from the diaspora into the country. The March 8 and 9 Summit also included a collaborative service learning day at Echoing Hills School where summit participants had a lot of activities with kids and teachers at the school, including painting, games, planting of water melon seeds at the school’s garden and lot of fun-filled educational activities. The Pan-African Student Summit is an initiative of 3GC Inc., True Culture University in partnership with CA Study Abroad, Antique Lemonade and the African American Association of Ghana with support from Year of Return – Ghana 2019. On 7th March, The Back2Africa Festival and Tour service day was in alignment with World Book Day, a day to promote reading, as the group of nearly 100 first time travellers to Ghana spent the day with the Akuapem Educational Service Partnership, at Nyame Bekyre School in Akuapim breaking ground for the establishment of a library and borehole in the community. The Back2Africa team worked in partnership with the International Partnership for Economic and Sustainable Development to raise funds and books for the future library. 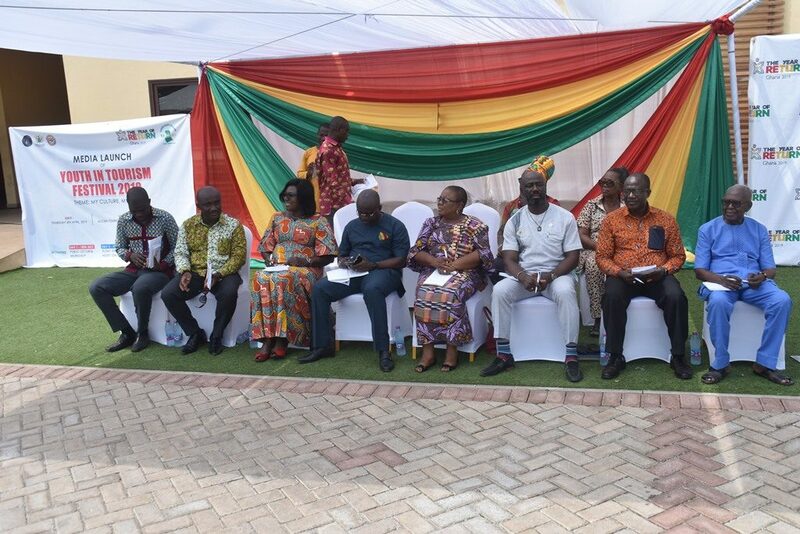 The library groundbreaking ceremony was attended by Madam Martha Eghan, HeadMistress of Nyame Bekyre Municipal Assembly Basic School, Okoman Panyin of Akuahene’s Palace and Akwasi Agyeman CEO of Ghana Tourism Authority. “Back2Africa Festival and Tour is one way we are committed to rebuilding the connections between Africa and her diaspora —culturally, spiritually and financially. As much as we want our group to enjoy Ghana, we also want to provide them with an opportunity to reassert their identities as Africans by giving back hence the launch of the Akuapem Educational Service Partnership where we made a commitment to impact the lives and education of the community through building a library and a borehole,” shares Diallo. ‘Daheart’ Sumbry, Founder of The Adinkra Group, an African Cultural Edutainment Resource and Consulting company based in Washington, DC and organisers of the Back2Africa festival. 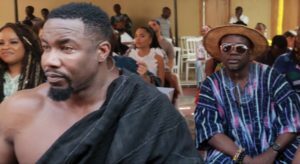 The 2019 Back2Africa Festival and Tour was launched on the 26th of February at the Accra Tourist Information Centre for a welcoming communal festival called the “Akwaaba” Village featuring local Ghanaian homemade drinks and traditional fashion and artworks from local vendors. The Festival continued in Accra with the Back2Africa edition of JustMusic for an intimate live performance featuring Raheem Devaughn & Wes Felton of The CrossRhodes, an Open Mic/Jam Session in partnership with the African American Association of Ghana (AAAG) and the Back2Africa Birthright Concert, a family-oriented event celebrating Africa’s cultural legacy through traditional and modern African Dance, Drum and Theatre. The Birthright concert was held at the National Theater was co-hosted by Ghanaian Actress Ama K. Abebrese and founder of the Adinkra Group, Mr. Diallo “Daheart” Sumbry. “Back2Africa Festival and Tour served as an opportune occasion for us to reconnect with the culture and traditions of Ghana and also engage in a cross-cultural exchange with artists from both the US and Ghana including American socio-political musical duo, Raheem DeVaughn and Wes Felton who were visiting Ghana for the first time, intergenerational West African Drum and dance company, Farafina Kan, High life Sensation, Kwan Pa Music Band, Ghanaian actress Ama K. Abebrese, flutist Dela Botri, and the Ghana International School Ensemble,” adds Sumbry, a current and founding member of the Year of Return Steering Committee. The Back2Africa Festival and Tour began in 2018 with a mission to reconnect people of the African Diaspora to the culture and traditions of Africa with a line-up of events that focuses on arts, performances, education and service projects in Ghana’s most historic venues. 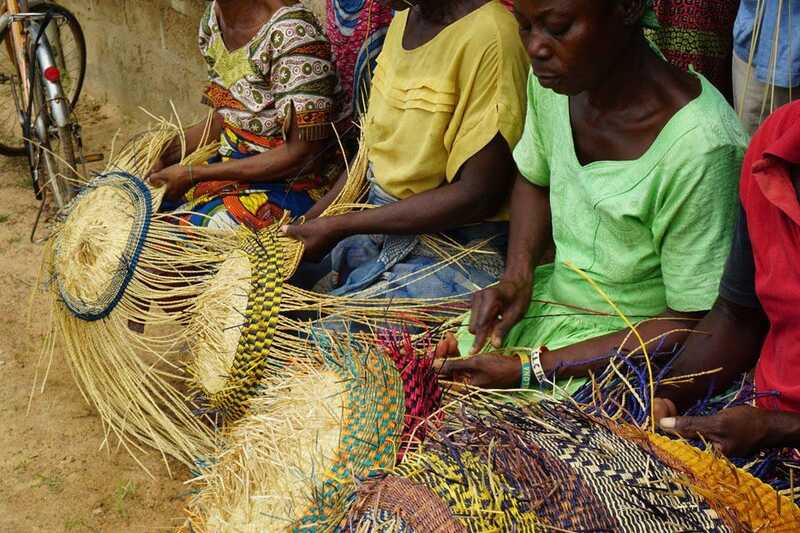 The 2019 edition was a part of the “Year of Return” programming, a year-long calendar of activities in “celebration of the resilience of the African spirit” coordinated by Ghana Tourism Authority, under the auspices of the Ministry of Tourism, Arts and Culture. Back2Africa festival partners include South African Airways, SunSeekers Tour, WaxPrint Media, African American Association of Ghana (AAAG), Ghana International School (GIS) and African Ancestry.